Burial at Sea and Ash Scattering at Sea in Naples, Florida. Say farewell with respect and honor. The scattering of ashes or burial at sea is a beautiful, moving, and loving tribute for your loved one. Burial at sea or ashes scattered at sea is a time honored ceremony providing peace and comfort for those in mourning. The sea has received the remains of loved ones down through the ages and provides a most honorable means of celebrating the lives of those we mourn. There is a certain comfort in knowing that the person is mixed with the sea and is somehow with us every time we go to the beach or out on the water. Losing a loved one is an experience that can be very difficult for those who were left behind. Saying goodbye in a peaceful and beautiful setting on the sea provides family and friends a form of closure to aid in the grieving process. Pure Florida is a company that has a great love for the sea and recognizes the affinity, and the desire that many people have for the sea to be their final resting place. We are dedicated in providing you with the means to mourn your loss in a serene way. 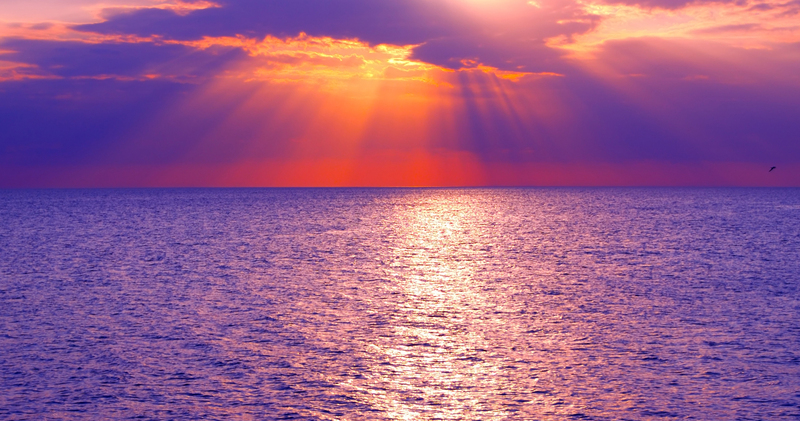 Pure Florida provides compassionate, personal, and professional burial at sea services in Naples Florida. 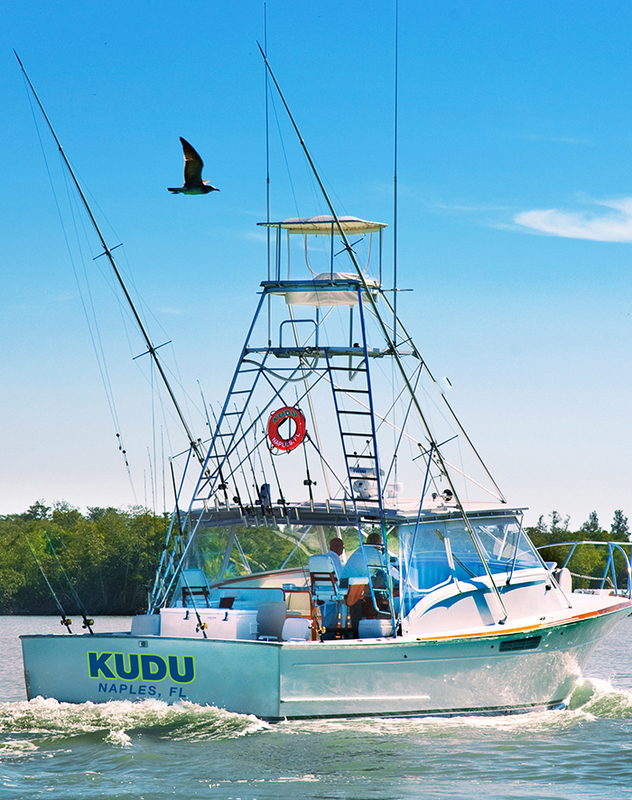 We can accommodate large groups of close friends and family members (up to 149 passengers) aboard the DOUBLE SUNSHINE, or more intimate services for smaller groups (up to 6 passengers) aboard the KUDU. Pure Florida can provide bio-degradable urns to hold your loved ones remains and the urn can be plant based, sand, gelatin, or constructed out of rock salt. Flower wreaths, stems or petals are permitted to mark the location for a period, and all services are provided with a Certificate of Burial from our Coast Guard certified captain marking the longitude and latitude of where your loved one was placed should you wish to visit the sight in the future. The burial at sea memorial services may be presided over by whoever is chosen to do so. Military honors may be provided such as playing of taps and a military flag folding. All burials will be required to adhere to the Coast Guard stipulations. Contact us today and let us provide you with a fitting way of grieving your loved one’s departure with a burial at sea service. Memorial services where ashes are scattered at sea in an incredibly caring fashion can be a healing and uplifting experience for those left behind, and a beautiful way of paying your last respects to a dearly departed loved one. We know how important it is to you that this moment is treated with the utmost care and respect, and we do not take the significance and responsibility of your moment lightly. The actual form the ash scattering ceremony takes is entirely up to you and your family. With our private Naples boat burial services, once your vessel reaches the destination, you can perform last rites as you please. A clergy member or family member is often designated to perform the ceremony, music can be played, special verses can be read, and a moment of silence is often observed. 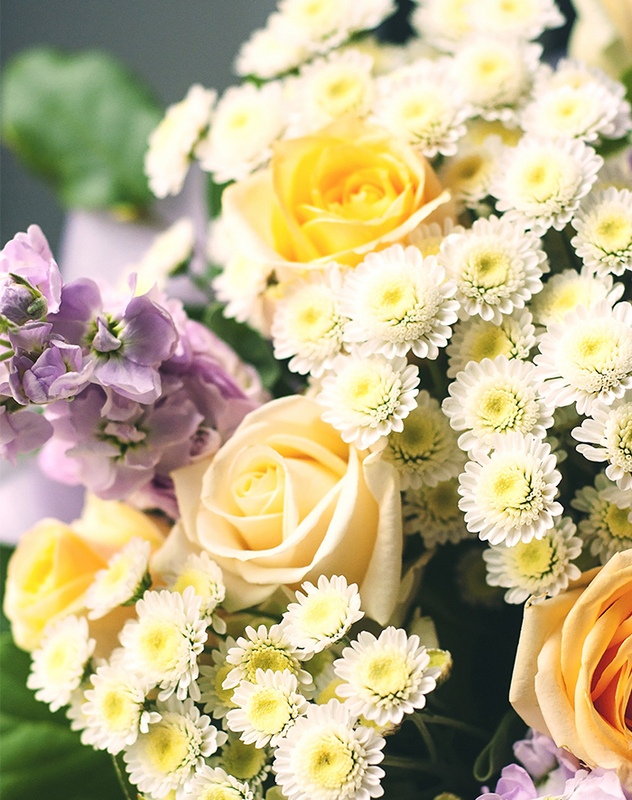 Once done, the ashes are then scattered, and you, your family, and your friends can throw flowers as a last sign of love and respect for the departed. Similar to the burial at sea services, we can accommodate large groups (up to 149 passengers) aboard the DOUBLE SUNSHINE, or for smaller groups (up to 6 passengers) aboard the KUDU for ash scattering at sea memorial services. Once the service is complete you can return to land, or you can stay out for an extended period of time. Ash scattering services performed vary in both costs and duration based on your wishes. Just let us know what your specific needs are, and we will do everything we can to accommodate them. At Pure Florida, we are committed to making it easy for you to plan a personalized ash scattering at sea memorial service in Naples that celebrates the life of your loved one. All of our services are provided by Coast Guard Licensed Captains. 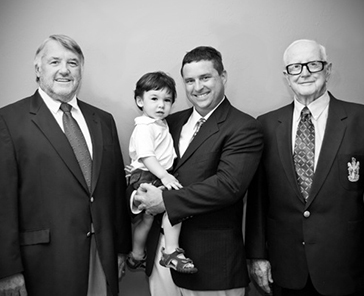 Pure Florida was founded in 2009 by father and son team Captains Lance and Harry Julian. There maritime business and experience however dates back six generations. The Julian family came to Southwest Florida from far off New Zealand, bringing with them 40 years of a unique combination of maritime history, and a well-developed dedication to the preservation and sustainability of nature’s resources. Film work with their Marine Team International production company has taken them far and wide through waterways, lakes, rivers, oceans and seas of the world. They have seen firsthand the demise of underwater life and coral reefs. The Julian family adheres to a “leave nothing behind” code and brings good eco-friendly practices to the Gulf of Mexico. Captain Lance has taken his knowledge and experience from generations of the tug and barge industry to fast ferries and film set locations around the world. Son, Captain Harry Julian began with fast ferries and tourism following education in his chosen field of Maritime Industry. Through modern technology and development, he brings experience from a variety of vessel training and business education; all which make up the elements of the service that this company provides for tourism and burial at sea services today. 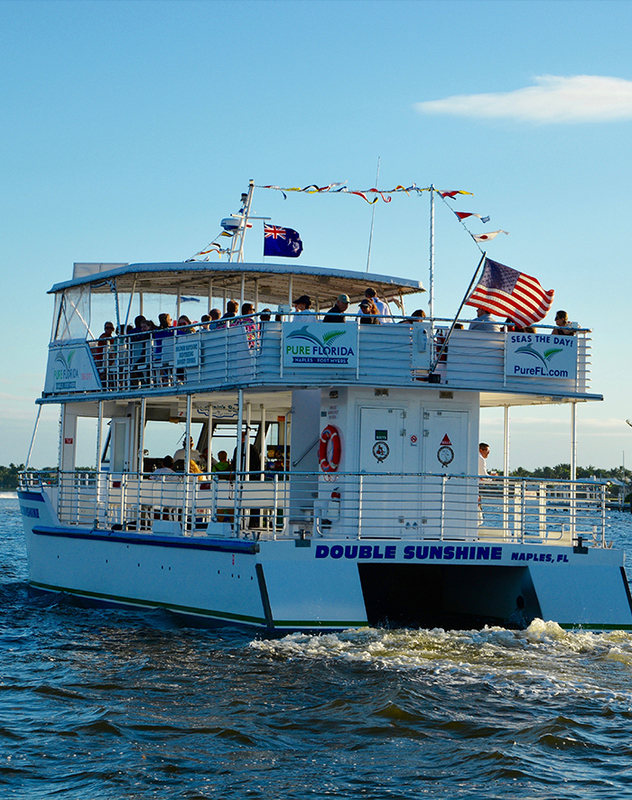 The knowledgeable company provides expertise friendliness and hospitality to Southwest Florida visitors and residents through both exciting and relaxing water-based activities. Pure Florida provides burial at sea and ash scattering services at its Naples Florida location.